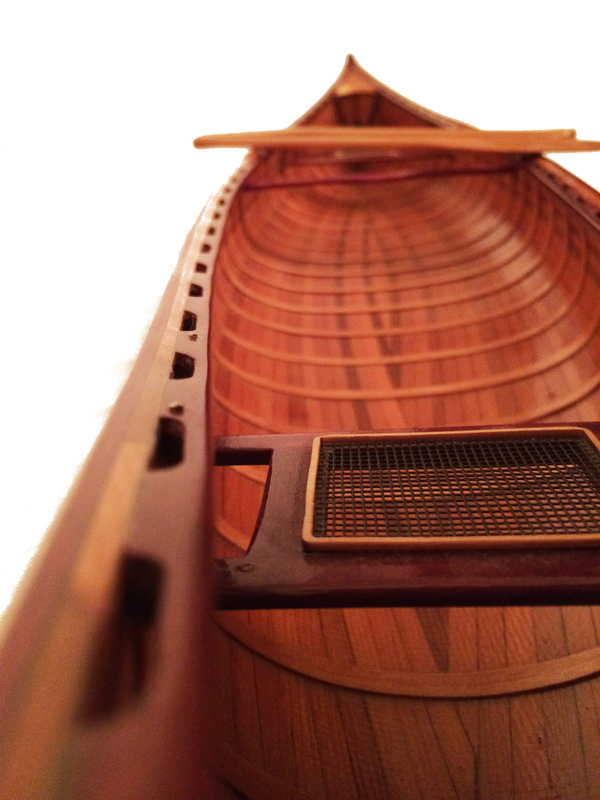 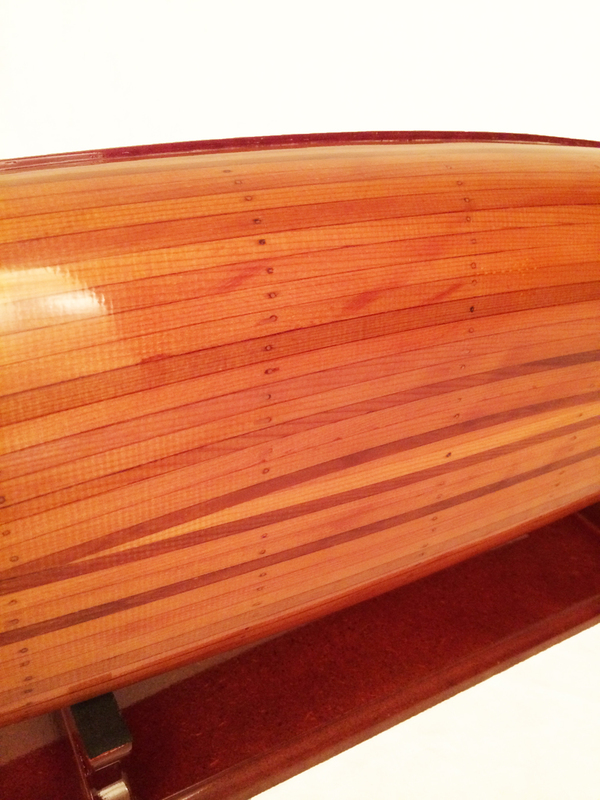 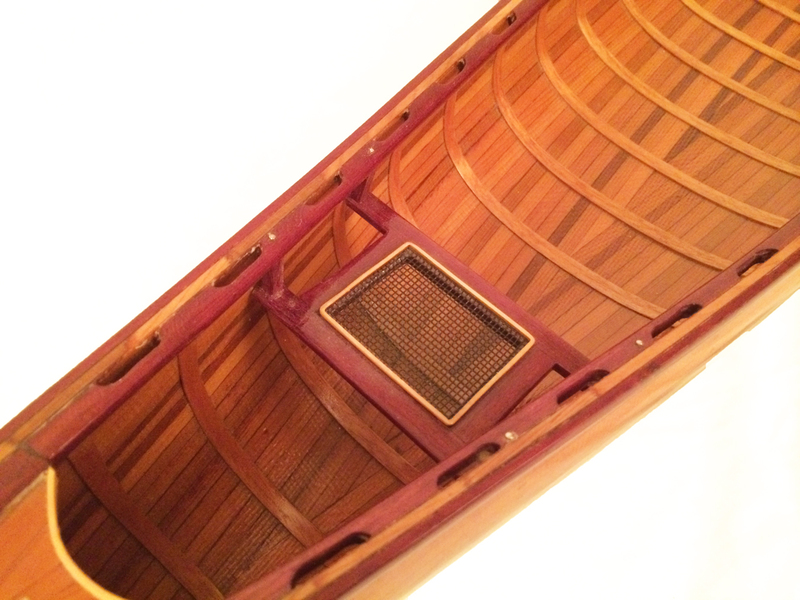 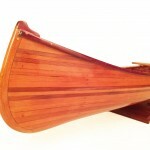 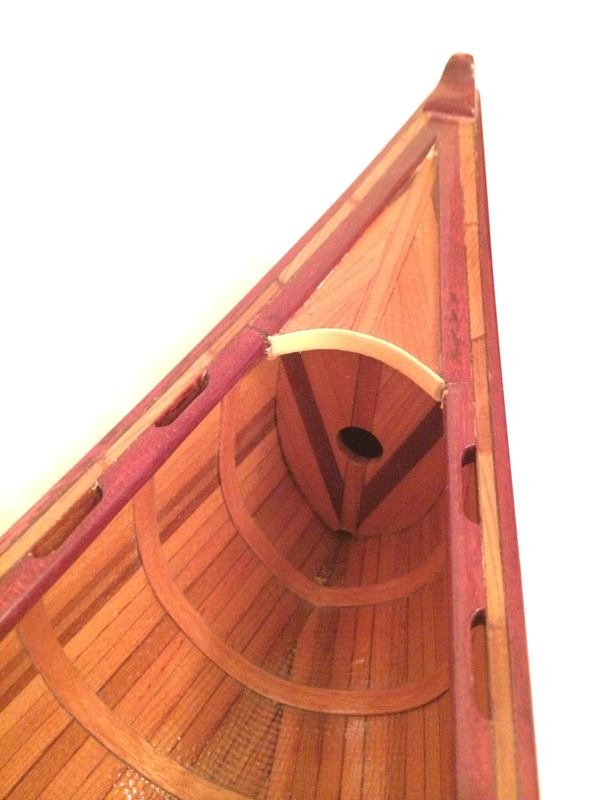 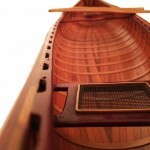 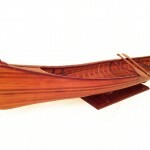 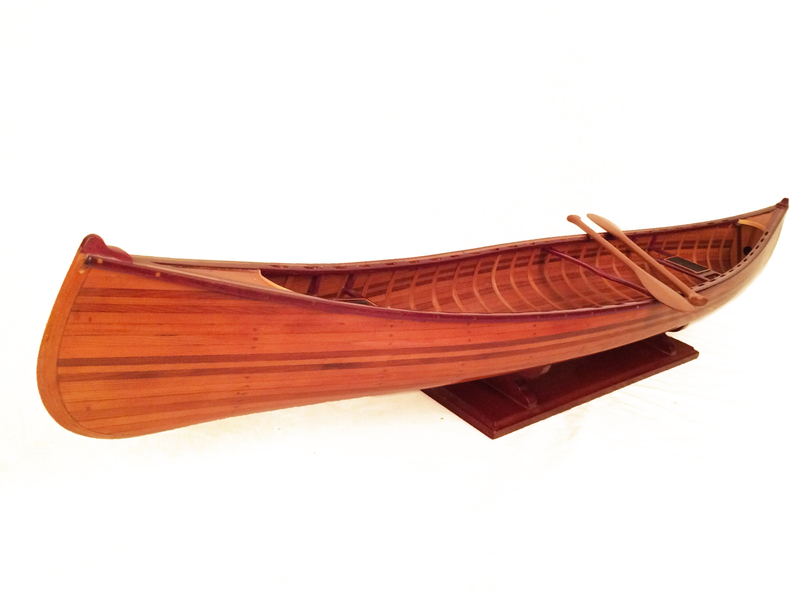 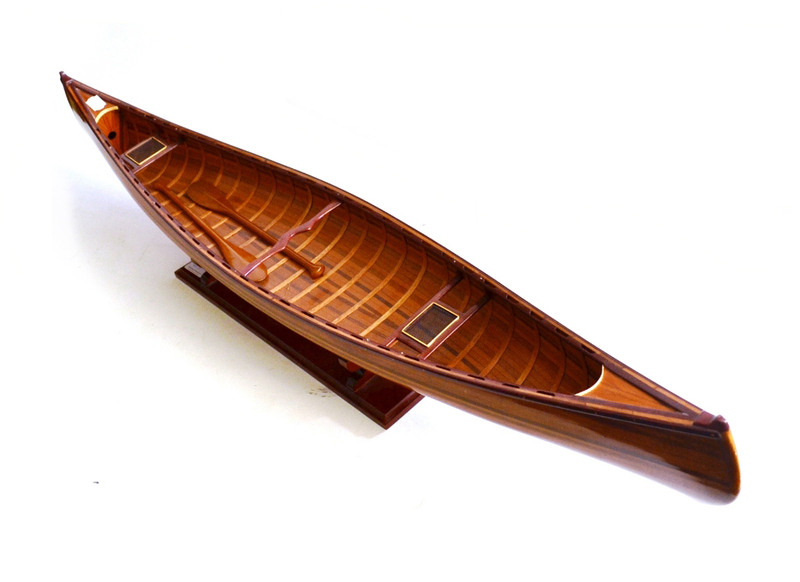 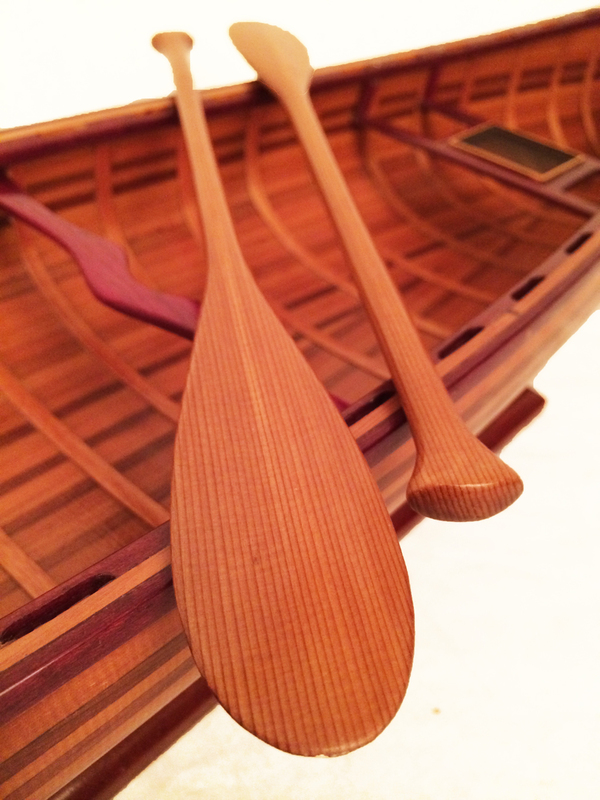 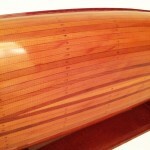 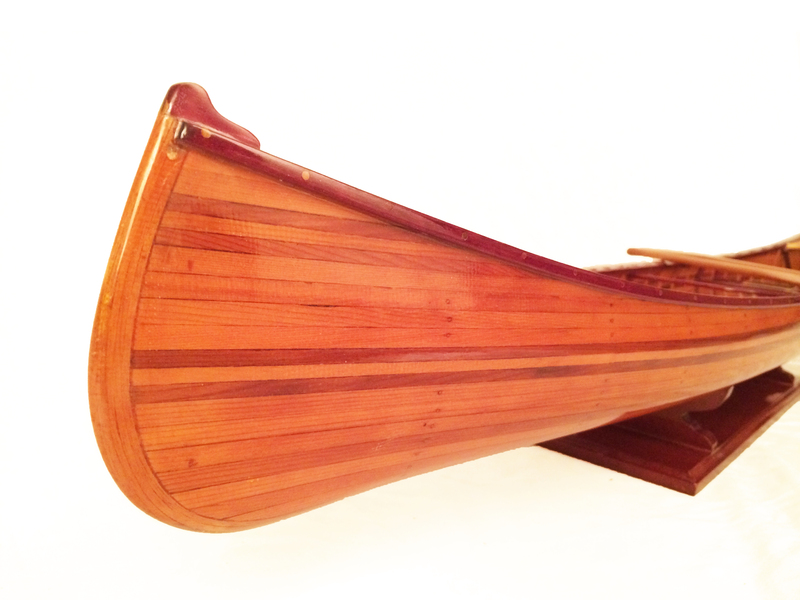 Here we have a beautiful hand made scale model Canoe. 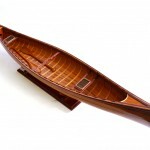 It has been made with pinned strips of red and yellow cedar and extremely skilfully finished off with a fine, clear fiber glass coating. 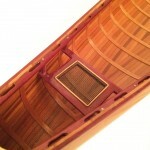 It has been built commercially, but not from a kit. 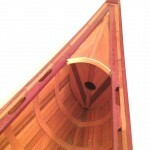 It was scaled down from the original full size plans. 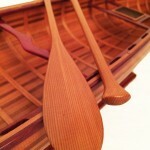 It comes with it’s own pair of hand carved paddles, and display stand.